Versace Bright Crystal Absolee is a beautiful woman's fragrance, which is an intensive version of the very popular Bright Crystal Versace perfume. Seductive, intense and charming perfume was launched on the market in 2013 and immediately earned its enthusiastic supporters. It is a stronger, long lasting perfume, the composition of which gives a radiant scent full of love and well-being. The bottle retained the same shape as a gemstone, but it received a darker, more intense shade. The fresh combination of yuzu, juicy pomegranate and refreshing raspberries creates a modern scent, complemented by delicate flowers accompanied by ambros.Spicy musk blends gently with aromatic mahogany wood and forms a long lasting perfume base.Alberto Morillas is signed under this unique perfume. Perfume is suitable for a romantic woman who is self-confident and radiates beauty and uniqueness. Cover the veil of the crystal scent and enchant the man! 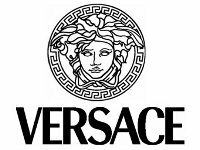 For shipping to other EU countries visit this page Versace Bright Crystal Absolu 30 ml. Für Versand nach Deutschland, besuchen Sie bitte Versace Bright Crystal Absolu EdP 30 ml. Chcete doručit zboží do Česka? Prohlédněte si VERSACE Bright Crystal Absolu EdP 30 ml. Chcete doručiť tovar na Slovensko? Prezrite si VERSACE Bright Crystal Absolu EdP 30 ml. Für Versand nach Österreich, besuchen Sie bitte Versace Bright Crystal Absolu EdP 30 ml. Magyarországra történő kiszállításért tekintse meg ezt a termékoldalt: VERSACE Bright Crystal Absolu EdP 30ml.